Classic purchase advice usually focuses on a pre-owned vehicles’ technical factors and aims to inform the buyer on parts with increased wear or even damages, but at Manufaktur 964 other criteria also play a big role. Obviously, a 964’s overall condition is pivotal for purchasing, but you can’t ignore that, by now, a Porsche 964 could be up to 26 years old and already be running on two-hundred thousand kilometres and higher – which is why technical deficiencies tend to be the norm these days. The main reason for these defects is usually the high costs for optimal upkeeping and replacing parts. There have been times during which the 964 used to be a very affordable car. It wasn’t uncommon to find one for under 15,000 Euros, which led to lower overall appreciation for the car and made most people not bother about more than just the most necessary maintenance and repair works. 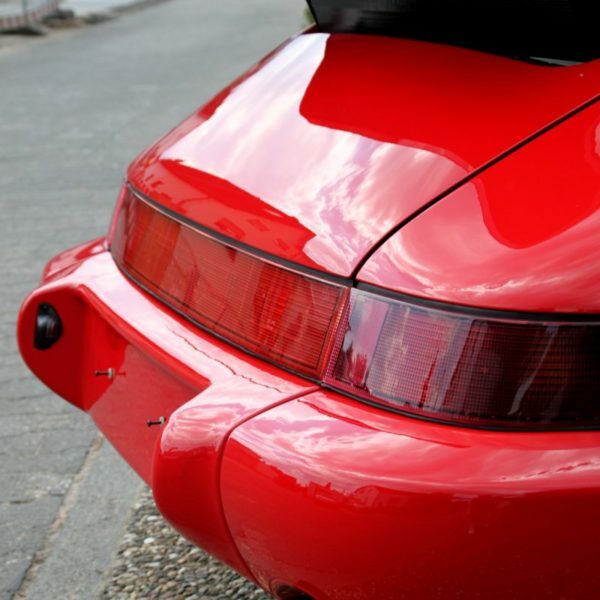 Since the Porsche 964’s development is based on the Porsche 911’s 30 years of evolution, it is considered a very well-engineered and sturdy car. 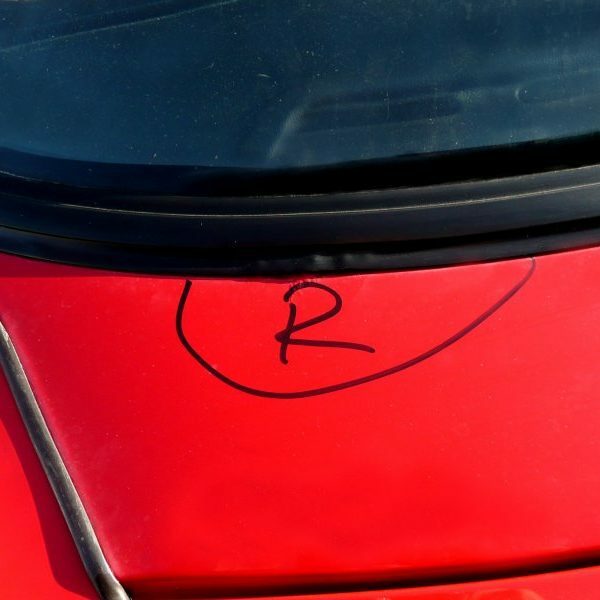 As long as no severe mistakes were made during maintenance (or completely neglected), the car will always be functional – even with small blemishes e.g. oil loss. Engine damage is rather uncommon, as long as oil supply and cooling are ensured, and the ignition distributor’s tooth belt has been replaced before at least once. Defects that result in loss of comfort, such as damaged air conditioning, window regulators, sunroofs, etc. are usually well taken care of, since most drivers notice those faults right away. Insidious damages, on the other hand, only surface slowly as the chassis ages and wears slowly over time. Deterioration of the driving characteristics usually go unnoticed, as the driver tends to get accustomed to the current state and ends up perceiving it as normal. They only notice oil loss by the time when stains can be seen on the garage’s ground. 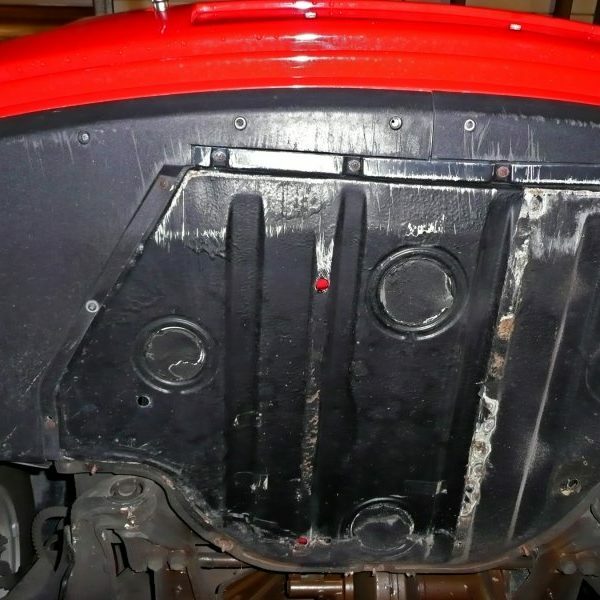 That’s when the underbody panelling is already swamped to the point that even dust isn’t able to bind the oil anymore, allowing oil to find a way out. Visual defects usually have been fixed or have had their affected parts replaced. 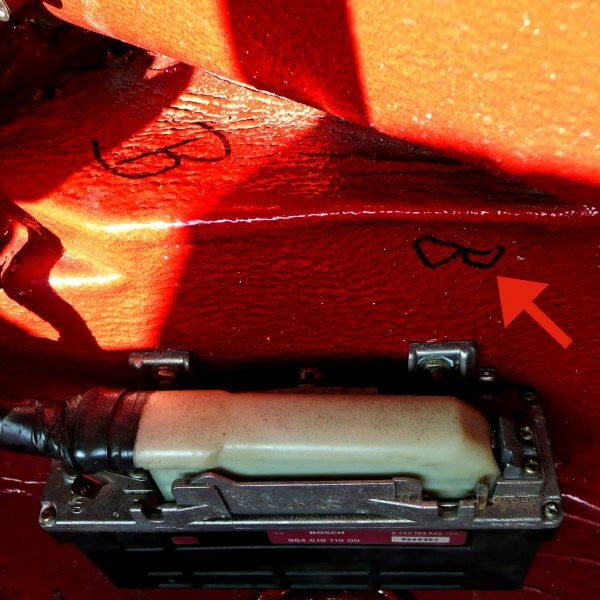 Bleached or corroded rear lights and fittings as well as contorted dashboards (as a result from solar irradiation) are among the most common flaws. Because of these reasons, we have to separate all 964s available on the market into three different categories. We evaluate vehicles among three categories in order to determine their condition. Vehicles at first or second hand with a gapless history. Mileage up to 120,000 km, regular maintenances. Obviously, no accidents in the past, ideally with original paintwork. These have become true collector’s items, almost impossible to afford. Here is an example of a category 1 vehicle – perfect condition, gapless history with verifiable mileage of 61,000 km. This category is very rare. Pre-owned vehicles, roadworthy. 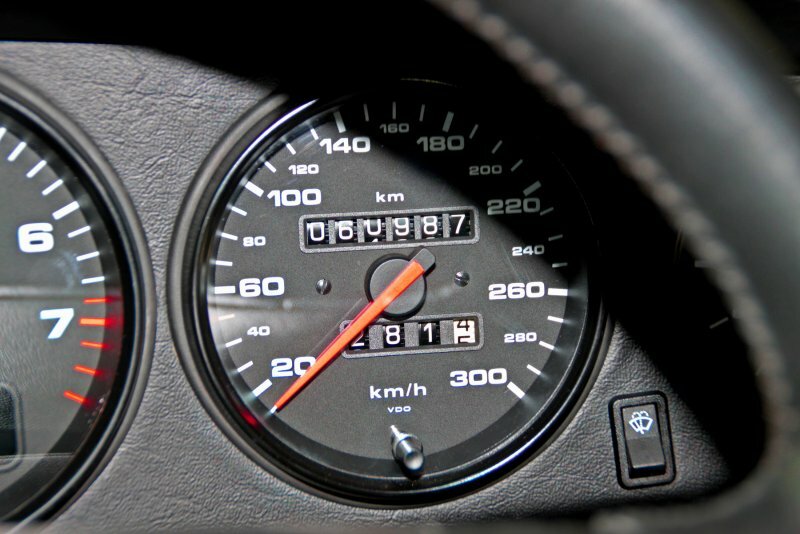 964 models with mileages ranging between 100,000 km and approx. 200,000 km. No major technical nor visual defects (except for the usual marks due to age and higher mileage). Ideally accident-free or with well-documented repairs, so that the upkeeping’s quality can be evaluated. An almost rust-free body a good foundation to work with. No major repairs to be done. Vehicles in bad condition and not roadworthy – which means that it’s impossible to evaluate the functions through test-driving. Mileages of over 200,000 km, in bad condition with bigger technical and visual deficiencies. What is the condition of the shell and underbody? Special attention should be paid to the front and trunk, especially the trunk should be searched for any draping along the frame girders and standing walls as they would be an indicator to accidental damage. 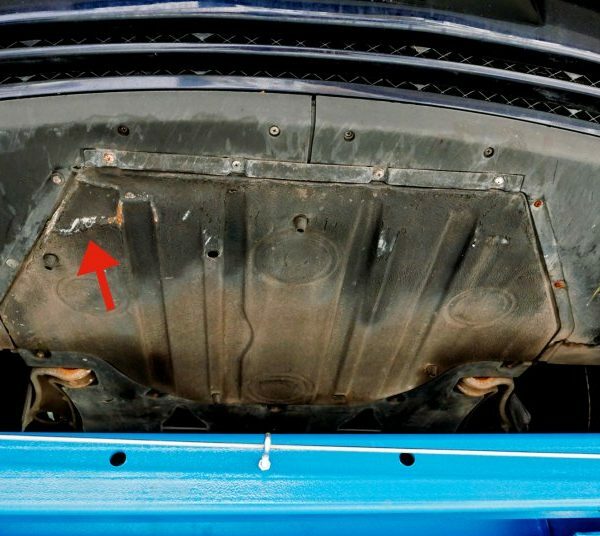 Here is an example of front damage that was has been refurbished only moderately well – nothing can be seen on the outside – but the trunk has dents which resulted from compression. The shell can’t corrode completely since the 911s are entirely galvanised. The front hood often comes with stone chips, spalling and pimples. Touch-ups with stippling paint and painted bumper bars or trunk hoods, however, are not considered a major flaw. More common flaws are rust spots around the front and rear windscreen frames or on the cowl around the front windscreen’s gasket. Insufficient anti-corrosion measures are usually at fault for this. Here is an example of a rust spot on the front screen frame – if the rust bubbles are visible, it usually means that there is even bigger damage under the screen’s rubber. The edges of mudguards could also be corroded around the area where they are joined with the web plates. Sadly, this usually goes unnoticed until someone dismounts the mudguards for e.g. a paintjob or overhaul. The rock panels, on the other hand, are normally well-protected. However, they could also be damaged through bounces or bollards. Light damage from bounces along the trunk’s bottom are rather the rule than an exception. Here are two examples for bouncing damage around the trunk’s bottom. It is easy to see that the red car only has a few scratches while the blue vehicle even has dents. The rocker panels themselves are located under the trim, making further inspections very difficult. All gap dimensions around doors and hoods should be equal. In the case of irregularities, one can assume that an accident happened. Here is an example of an underbody in good condition with all trims. Some convertibles are more prone to wearing, resulting in natural irregularities of the gap dimensions. Another important factor for convertibles is the top’s condition. They are usually made of high-quality Sonnenland fabric which comes with additional lining, but it doesn’t mean that they can’t be affected by wearing. New convertible tops cost a pretty penny as this type of saddler work is usually very expensive. Broken mirror parts can also cost a fortune. It is very convenient though, that the rear windscreen is inserted and held in place with the help of a zip. Luckily, the top’s clamping device Is self-adjusting and guarantees a tight fit. A functionality check definitely needs to be done before purchase. For this inspection, we recommend putting one wheel up on the pavement’s edge as it is the best way to test the torsion resistance. Last but not least, it is also recommended to have a look under the vehicle. 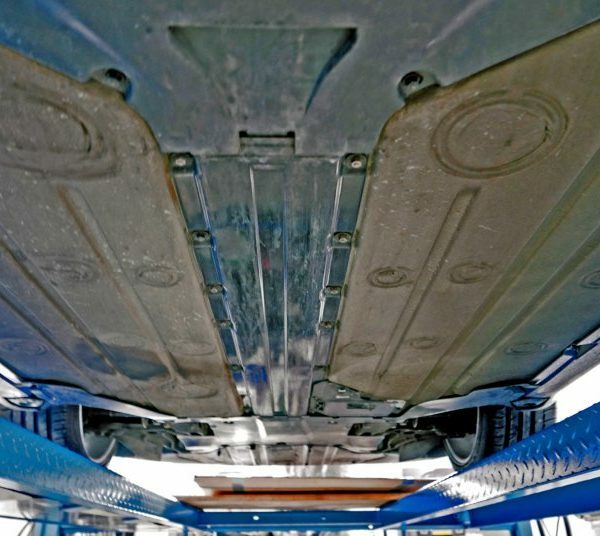 Underbody trims are laid out all over the car’s floor and must not be loose or have missing parts. The trims could only be damaged due to rough contacts with the ground. Top-of-the-range in terms of technology and quality. Porsche’s original 911 series used to represent performance, speed, perfection, and quality for many years. Even so, at the end of the 1980s it was time to introduce the 964 as the new 911’s successor. A competitor from Untertürkheim had too much catch-up potential and was about to leave the former Porsche in the dust. Just in time for the Porsche 911’s 25th anniversary, they released the Porsche 964 in year 1988 which was only available as Carrera 4 with all-wheel drive. Visually, there are only few differences between both models, but the essentials lie under the hood. Among the highlights are the new 3.6 litre engine with dual ignition, the McPherson-struts and coil spring and damper units. Recent successors, such as the Porsche 996, are visually very different from the legendary design of the 911. They have been referred to as “Lenor”-Porsches multiple times – named after a German fabric softener to indicate that the new models are softened down versions and not being up to par with their legendary predecessors anymore. Porsche engineers also proved in 1988 that their 964 can put up a great fight with the Mercedes SL. The 250-horsepower strong 3.6 litres 6-cylinder engine has a great amount of power under the hood and is able to reach maximum speeds of 260 km/h – despite the all-wheel drive and higher self-weight. 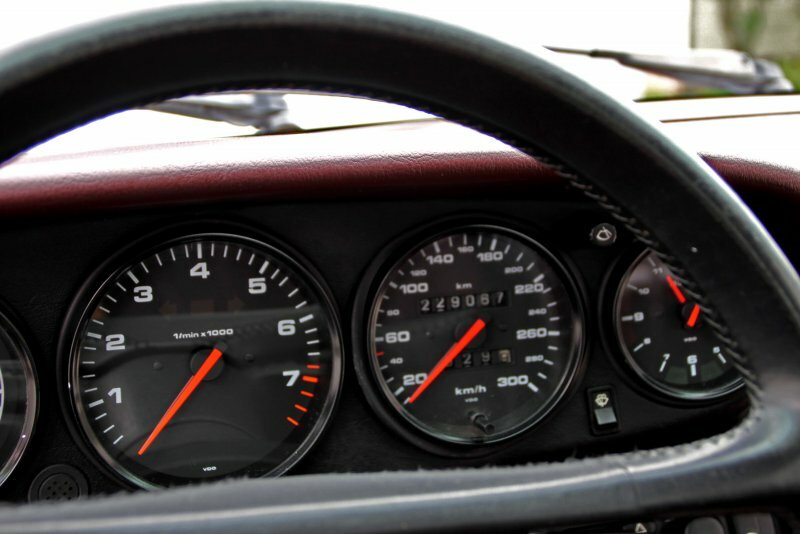 The 964 accelerates from 0 to 100 km/h within only 5.7 seconds. The 911 predecessor had a 3.2 litres engine with 217 horsepower, but its controlled catalytic converter occupied a big amount of its performance, resulting in only 240 km/h top speed and 0 to 100 km/h acceleration within 6.3 seconds. In order to ensure significantly more stable driving behaviour and optimal compensation of outward forces during high speeds, the Porsche 964 comes with an integrated rear spoiler that will automatically extend at 80 km/h and higher. The underbody is completely trimmed in order to achieve even better cw-values and less fuel consumption. Unlike its predecessor, which was known as the vociferous and rock-hard 911, the 964 focuses on more drive comfort. The main improvements include standard power steering, an overworked chassis with negative scrub radius and anti-blocking system. This allowed less experienced drivers to drive the sports car more safely. Another option was air conditioning. Since February 1990, the Porsche 964 also comes with a standard driver and front passenger airbags. Those who didn’t want manual gear shift for the 120,000 German Mark expensive car could also opt for the approved Tiptronic automatic gear shift. What’s interesting is, that they also implemented a manual gear selection in addition to the full-automatic gear shift, allowing the driver to opt for occasional manual gear shifting. It’s not a real compromise for Porsche veterans though, as they appreciate the 964’s powerful acceleration and top speed, which is best achieved with a manual five-speed gearbox. The automatic gear shift takes 6.6 seconds to accelerate from 0 to 100 km/h – so even longer than the 911’s 217-horspower engine. 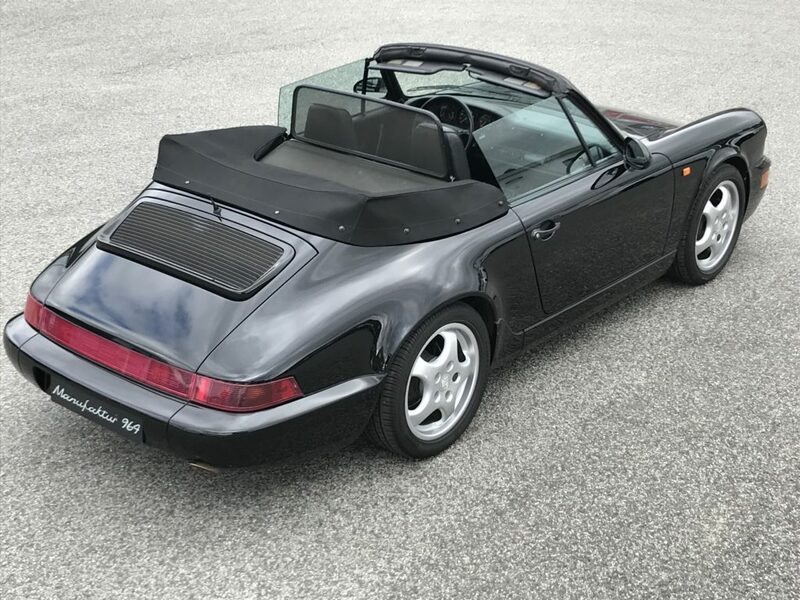 Only a limited number of Porsche 964s were built as convertibles with a turbo body, but the design was so popular that they released few hundred convertibles without the high-performance engine but in the same turbo look. Despite the lack in performance and the significantly huge rear spoiler, the fans really loved the bulbous shape of the mudguards. These models are still popular even today. People who are interested in buying a used Porsche 964 need to consider that there’s always a certain risk to it. Every 911 model’s repair job tends to be very expensive. 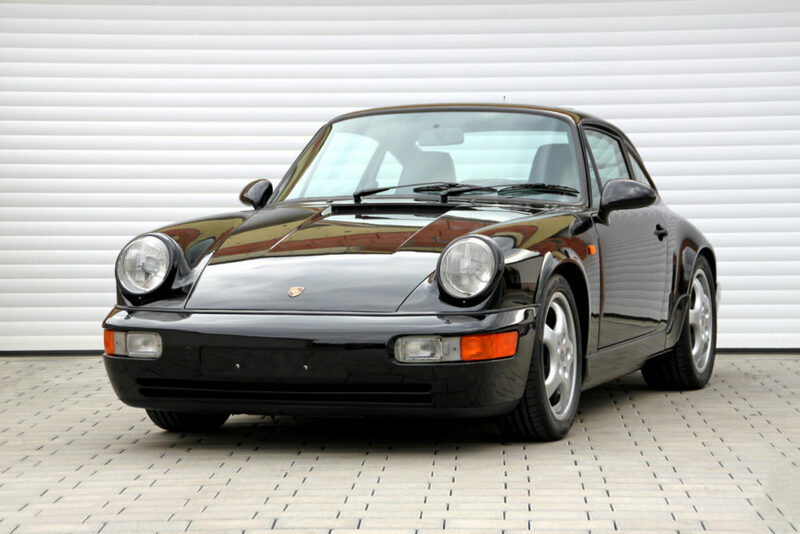 It is very rare to find a 964 in top condition with verifiable history, detailed chequebook, and only few pre-owners. This kind of vehicle will still be able to belt the roads even years from now. But there are also many neglected models with many pre-owners. Mileage isn’t always an indicator for a Porsche’s quality. Sometimes, a 964 at first hand with over 200,000 km mileage is a better choice than a car with 100,000 km mileage but almost no maintenance. There are many factors that should be considered. 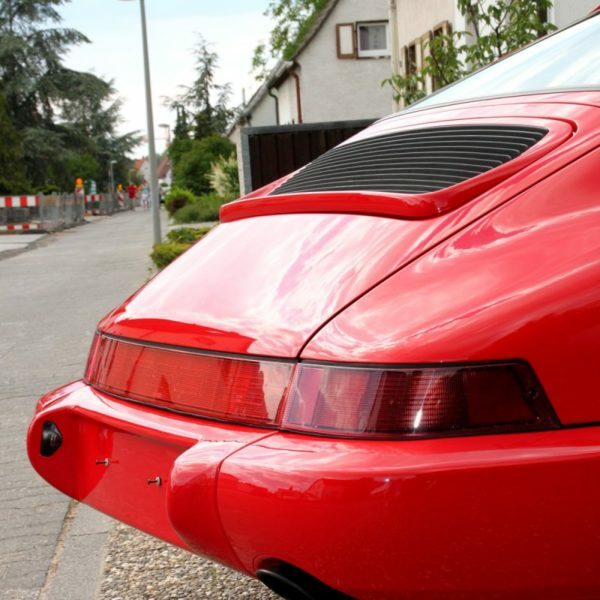 Manufaktur 964 specialises in professional restoration and marketing of the popular Porsche 964. Clearly preferable are the vehicles that fall under category 2: repairs may be needed but the cars can be overhauled with high perfection. Of course, even those that fall under category 3 are still being bought but it’s a great effort to have them overhauled. Not only restorations but also modifications and vehicle valeting are part of our expertise. We attach great importance on using authentic Porsche parts. 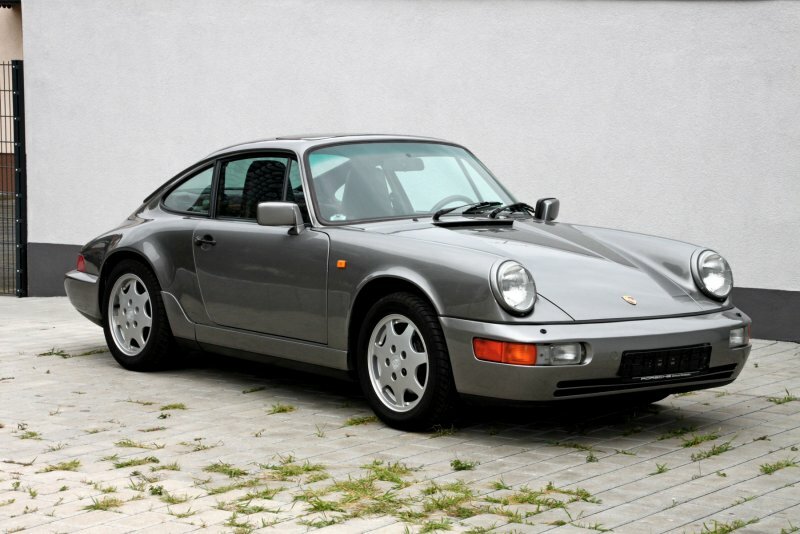 Those who are interested in a used Porsche 964 don’t need to worry about mileage. This series’ engines last forever and shouldn’t be an exclusion criterion. 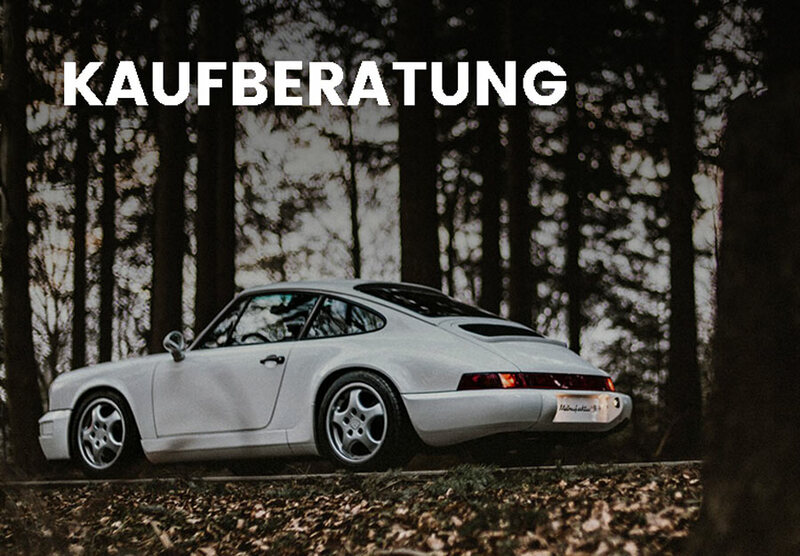 Needless to say, Manufaktur 964 will fix all age-related and mileage-related damages reliably and pre-emptively. Various steps lead to success. We start out with an initial check upon delivery of the 964. Once we’ve cleaned the car on the in- and outside, we will inspect the car thoroughly. The first flaws can already be determined through a first test-drive. In the second step, we remove all trims, wash, and dry them. Afterwards, we clean the body with dry ice blasting, which is a compressed air procedure that uses carbon dioxide in the form of dry ice at the temperature of minus 78.5 degrees Celsius. Once the cleaning process is completed, we will be able to determine the restoration’s extent during yet another inspection, which will definitely include overhaul and renewal of the most important chassis and brake parts. If necessary, we will also do a new paintjob for the sports car. In this case, all of the interior, roof hoods and glass panes need to be removed and stored. Afterwards, the car will be brought to the paint shop. At the same time, the cushions, side trims and if applicable convertible top will be brought to the saddlery. Engine and gear will also be overhauled which will always be a very thorough and detailed revision. Once all parts are overhauled and renewed, everything will be reassembled. We will measure the vehicle and perform an extensive quality and functionality check. After another test-drive, we’ll do another main inspection. A final inspection will be made shortly before handing it out to the owner to make sure that the customer will be happy with their beautiful Porsche 964. Especially sports cars that fall under category 2 require restoration work. One cannot expect to buy a pre-owned car and just start driving it right away without any worries. The sooner potential damage is identified, the higher is its lasting value. And by the way, it is possible to have us do a rolling restauration – which means that we fix all technical flaws first and take care of the remaining, mostly visual damages later. These include e.g. interior work or removal of paint flaws. Here at Manufaktur 964, we take care of the entire technical overhaul ourselves and apply our high-quality standards so that the Porsche 964 can be driven unreservedly. That is why we only use high-grade and authentic parts that were made for the vehicle. On top of that, we offer 24 months of warranty.